With A Grateful Heart: Many Thanks. . .
to those who have served and who are now serving our country. We appreciate the sacrifice you - and your families - have made for us. May you be blessed on this day we set aside to honor you. I almost chose the same pretty picture today. 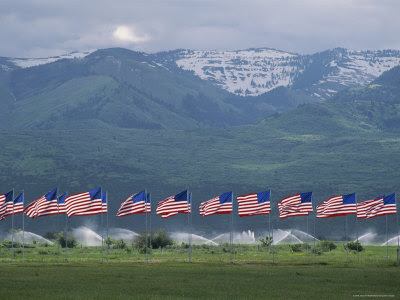 Look how amazing those flags are with the mountains behind! The picture is just breath-taking!